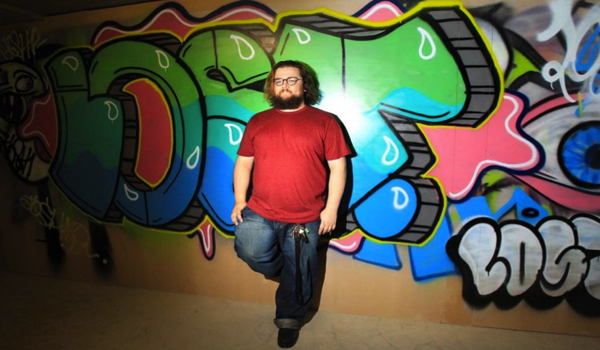 Street artist Jean-Luc Batchelor hired a disused basement in Parramatta because he wanted to create an independently run makerspace for local visual artists that would be affordable, safe, but still artist-run. He approached Business Connect to find out how to make the most out of his new art studio and co-working space, Alt Art Ink. Jean-Luc first needed help with a grant application to financially support the startup phase and with the regulatory aspects of setting up a business. He also wanted to find out how to prepare his business for growth. Business Connect Creative Industries Specialist Monica worked with Jean-Luc to complete the grant application, and to set goals for helping the business thrive. Monica helped Jean-Luc streamline his marketing process so that Alt Art Ink would have a professional but edgy digital media presence. She also worked with him to establish some early stage processes for working with tenants, administrative tasks, and the recruitment of a part-time studio manager. ‘Monica definitely helped with clarification on what I wanted to do and how I could do it. She put steps in place to help me achieve some great things,’ Jean-Luc said. Since being assisted by Business Connect, Alt Art Ink has acquired two new tenants. The space has become a safe place where local Western Sydney artists can come together to use, and learn to use, materials as well as develop creative projects. The multi-disciplinary hub now includes a workshop area, wet and dark room, lockable studio spaces and a photography studio complete with backdrops, lighting and a product photography-shooting table. Although he is still waiting to hear back about the grant, Jean-Luc has already started attracting local press and the attention of key stakeholders in the area, including the local council. Take a look at the Alt Art Ink on Facebook, Instagram or the Alt Art Ink website.